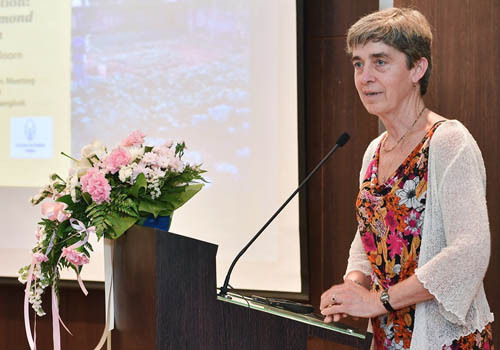 Thailand’s National Science and Technology Development Agency (NSTDA), held its Annual Conference from 25 to 28 March at the Thailand Science Park, north of Bangkok. The theme for this year was “Moving Towards Thailand’s Future Economy with Science, Technology and Innovation”, and the event featured among others a seminar specific to global agricultural technology and opportunities for Thailand as a leading global seed exporter. 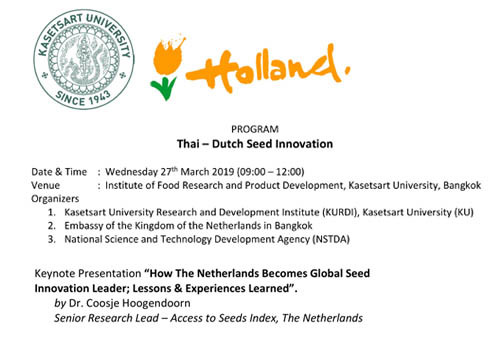 At this seminar organised in the morning of Tuesday 26 March 2019, Coosje Hoogendoorn, senior research lead of the Access to Seeds Index presented lessons for the Thai seed industry which she drew from the 2019 Access to Seeds Index but also from her experience as seasoned advisor of Royal Tropical Institute in Amsterdam.